Cute guitar, I liked to watch its videos despite the fact that strats are cheesy. Anyway it is a better instrument and a much better guitar than me. It can definitely be played. Seems like they went the cheap route with this guitar. The Robin Trower stratocaster is probably a better "Hendrix" guitar than this. How bout the Gibson Jimi Hendrix strat? She's not a very Hendrixy player though, so it doesn't sound Hendrixey. wow and shes a woman! She's pretty good looking...for a girl. I don't understand these Hendrix Strats, surely the whole thing should be upside down. Then what do you do it you're a lefty? Have a right handed upside down guitar? Stupid. 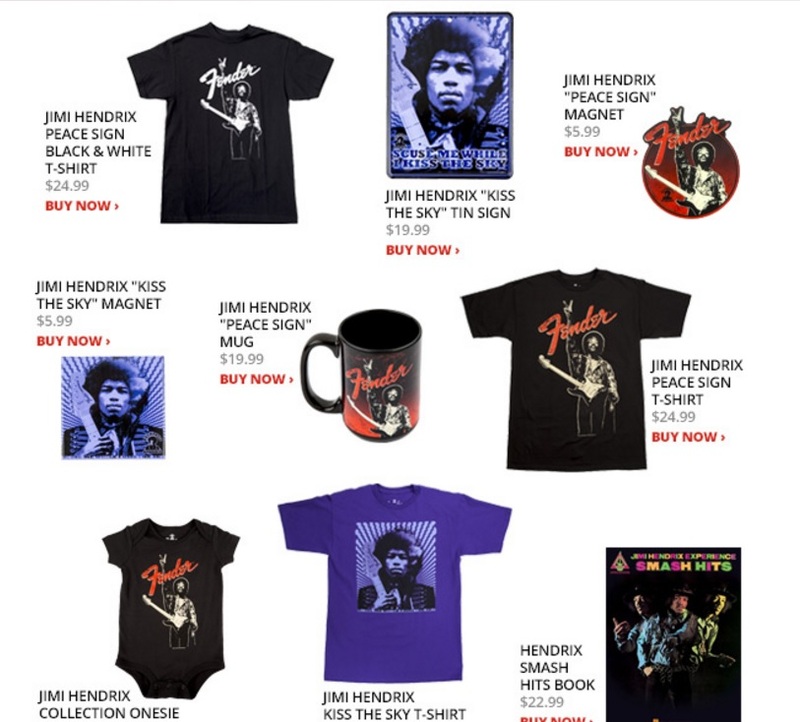 Everybody know you need that Fender Jimi Hendrix onesie. It's like Fender copied Gibson copying Fender partially but flipping over some parts. For the full experience you need the reversed reverb handle and knobs.